A standard line of shaft collars and couplings offered in a wide range of designs and materials for building and maintaining all types of converting equipment is available from Stafford Manufacturing Corp. of Wilmington, MA. 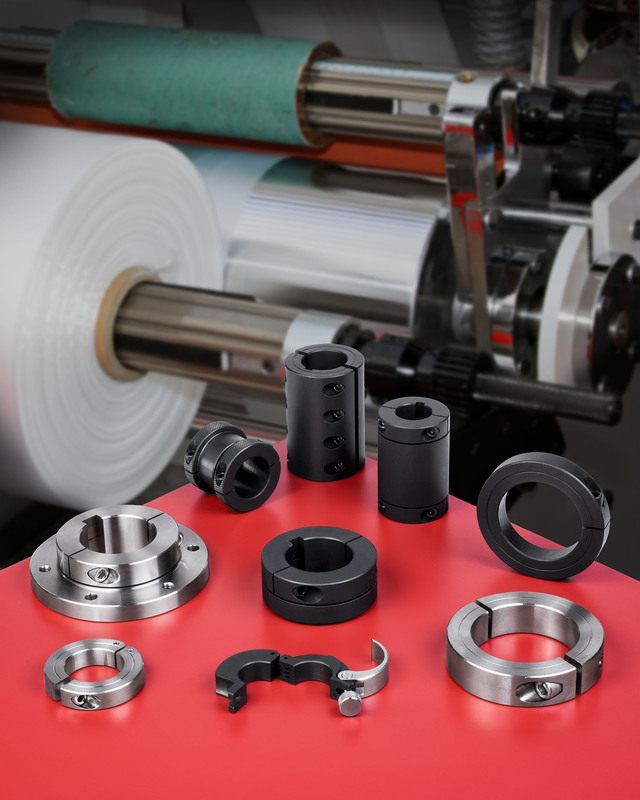 Stafford Shaft Collars & Couplings include over 3,600 standard items for building and maintaining cutters, slitters, and other converting equipment requiring precision, rigidity, chemical resistance, and other properties. Designed for use as stops, spacers, mounts, and adjustable solutions, they will not mar expensive shafts and are offered in aluminum, steel, and stainless steel in sizes ranging from 1/4” to 6” I.D., depending upon item and material. The standard line of Stafford Shaft Collars & Couplings includes Staff-Lok™ hinged collars which are easy to open-close and clamp by hand, Accu-Flange™ Collars that can be user-machined to perform a wide range of applications; hinged collars; micro-adjustable collars; and more. Shaft collars come in one-, two-piece, and hinged designs, and couplings in one-, two-, and three-piece versions, with a variety of options and finishes available. Stafford Shaft Collars & Couplings are priced according to type, material, size, and quantity. Price quotations are available upon request.